Create something unique with your photos! 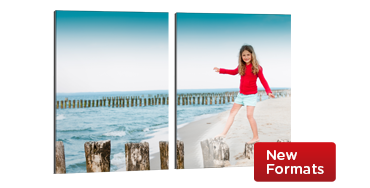 Your photo consists of several parts that you hang with 3 cm distance from each other. Create a modern and unique work of art for your home! 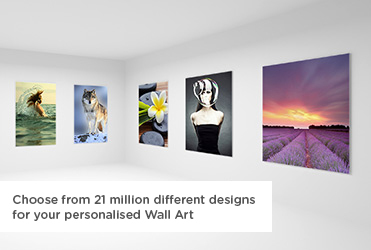 All our Wall Art at a glance! Our Premium Posters are sure to inspire you! Enjoy high-quality professional photo papers, varied designs and layouts for a total of 12 formats. 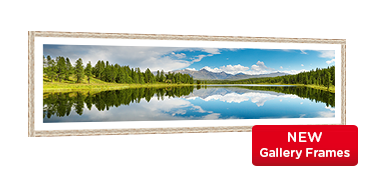 Make the most of your photos - with an incredible length of up to 3 metres, our XXL posters are a great way to present your snaps. We now also offer a large range of frames to really showcase your photos in style. Whether on the fridge, a laptop or in the nursery - our self-adhesive poster is designed to thrill again and again. The unique structure and the 12-color printing gives your photo canvas an artistic look and a great color brilliance. Finally, you can also print collages of your favorite photos on real canvas! Just perfect for those who want to give their home a personal touch. 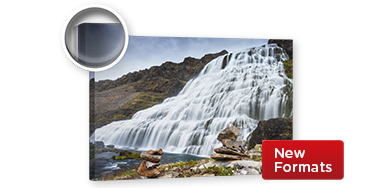 FotoInsight’s poster and deco prints free you from the limits of a home printer. Exposure to light, heat, ozone and air pollution causes the ink used in home printers to fade. Research carried out by ‘Wilhelm Imaging Research’ found that “refilled cartridges often produce photos that begin to noticeably degrade in a number of months.” FotoInsight uses real photographic paper on large format photo lab equipment, producing results that look 'richer' and are more durable. Frame mounted canvas prints convert holiday snaps into large format artwork. The fine structure of the fabric creates additional depth, and the print extending over the frame generates a 3D effect on the wall. As the durable fabrics are fully mounted no additional frame is required, the image can be put straight onto a wall. It is a great present suitable for the home as well as the offices. 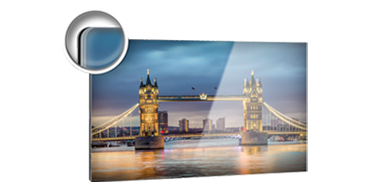 To achieve the highest print resolution for our Acrylic Photo Glass Prints we expose the image on real photographic paper and secure it with a special, completely transparent adhesive to a sheet of acrylic glass. As light passes through the side of the acrylic it illuminates the image, giving it additional depth and colour brilliance. 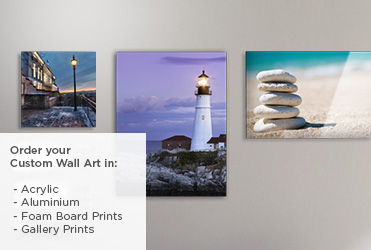 This turns digital photographs into highly decorative posters in no time. 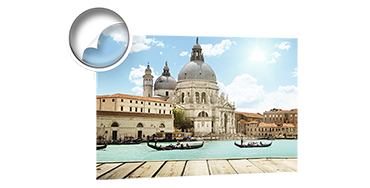 We process your images on real photographic paper, which are then mounted with high quality adhesive film onto an Aluminium Composite panel. This material consists of a plastic core and two aluminum plates. Lightweight, dimensionally stable and durable posters on Alu-Dibond panel offer a wide variety of applications. 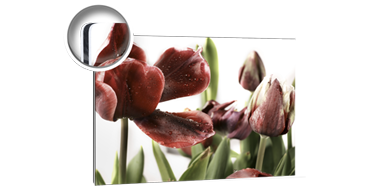 Large format prints, like FotoInsight posters and deco prints help to preserve memories in crisp colours shining off the wall. 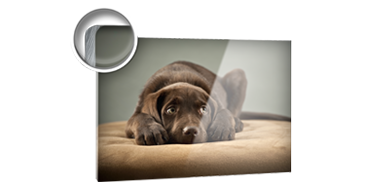 Printed on a real plate of aluminium, your photo will display extra depth and colour brilliance, as well as being very light and stable. The 4mm thick acrylic coating provides amazing depth effects. Bold colors will guarantee you a striking appearance. 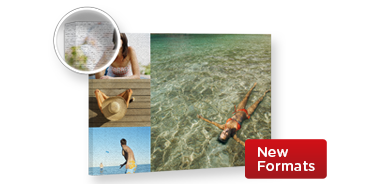 Light-weight and stable - our foam board prints are the perfect choice for a clean, modern look. Thanks to the direct photo printing onto acrylic and aluminium, our gallery prints give your image the best colour brilliance out of all our wall art - the ultimate way to showcase your photos! Unleash your creativity by looking at your photos in a new perspective - our multi panel wall decoration lets you create your own work of art!